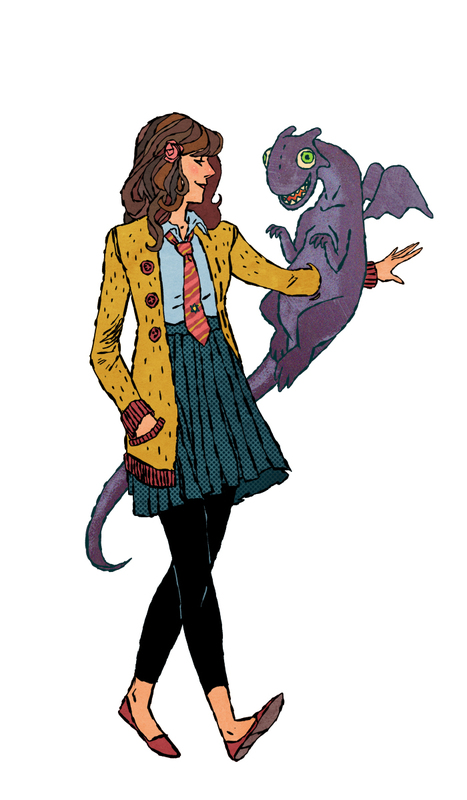 A lot of the folks that read this blog did not grow up reading 80's cape comics, and therefore do not know that Kitty Pryde has a pet space-dragon named Lockheed. And we all need to accept it. I'ma keep trying to do one of these a week. I need something fun and simple to do between jobs. Not only does she have a space dragon, she got style too. I'm on-board for your Monday X-fantasy. And I'm in total support of the screentone texture. That needs to make a serious comeback, but quick. Us true nerds know of this dragon. My wife wishes she was Kitty Pryde. Her larp character was Kaye Pride as to not be so obvious but still. I want to do an x men Monday too. next Monday i will ponder on it. I love so much your style evolution as of late. Hawt. THIS IS AMAZING. I want to be her when i grow up. * Love me some Kitty Pryde. Did you know that she dated Spiderman for a time? Now you do. It reminds me of my childhood, except it was Spyro that hung out with me I'm pretty sure. Your art makes me happy! It's drawings like these that made me fall in love with Kitty Pryde when i was a youngin'. Witty. Gorgeous! Lockheed looks a bit... disturbing though. Like a muppet or something. I like it. You should give him another go-over someday, and draw him as he was!